Beach Eats Two! – Eat, Drink, and Go! More beach, more seafood. Can’t get enough? Me neither. I love the Outer Banks. I know I’ve written about it before, but I spend a lot of time there so you’ll see it pop up again and again. And again. It’s not as quiet as it was when we started going in the 80s, but it’s still not the wall-to-wall people kind of beach like other spots. 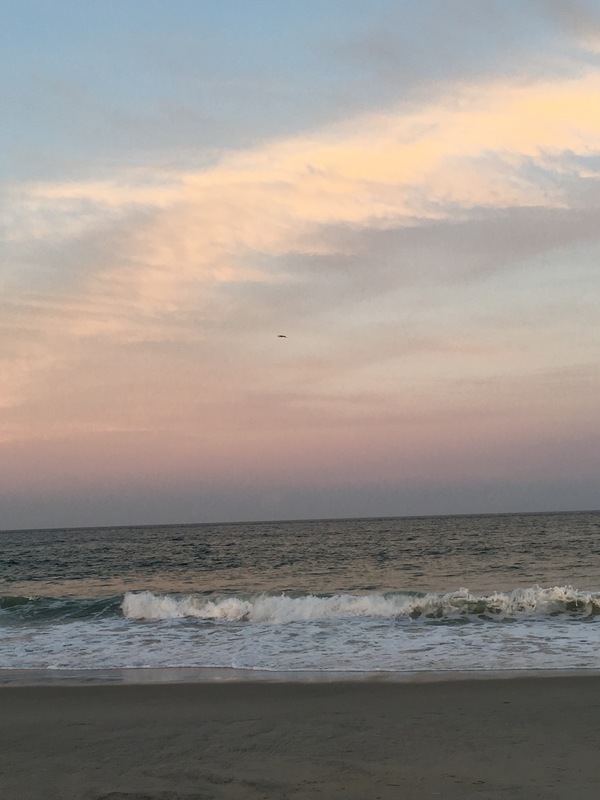 Hatteras Island, with the three little towns of Waves, Salvo, and Rodanthe is my happy place. 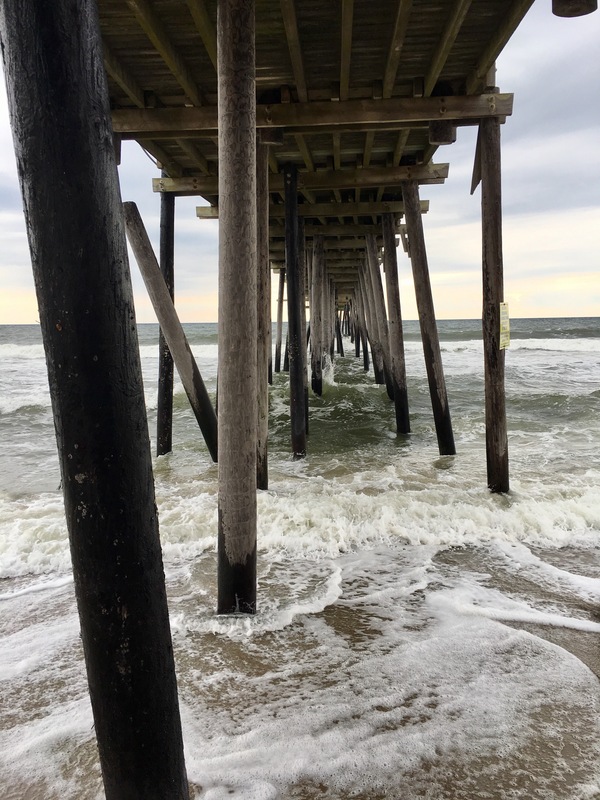 A five-mile round-trip beach walk is just bliss to me, and it includes a lovely stop under the Rodanthe Pier. The simple Salt Life. Ahhh, breathe deep. Hopefully I can keep some of this goodness in my lungs when I get back to the ‘burbs and city life. Someday I want to live on the beach and wake up for a morning walk along the shore every day. Any of you out there who have this, I’m envious! Meanwhile, until I’m living on the beach, here are some delicious fresh seafood dishes to be envious of!! Lol. Fried up some calamari, scampied up some shrimp, then did a leftover of the scampi for an amazing shrimp and grits! 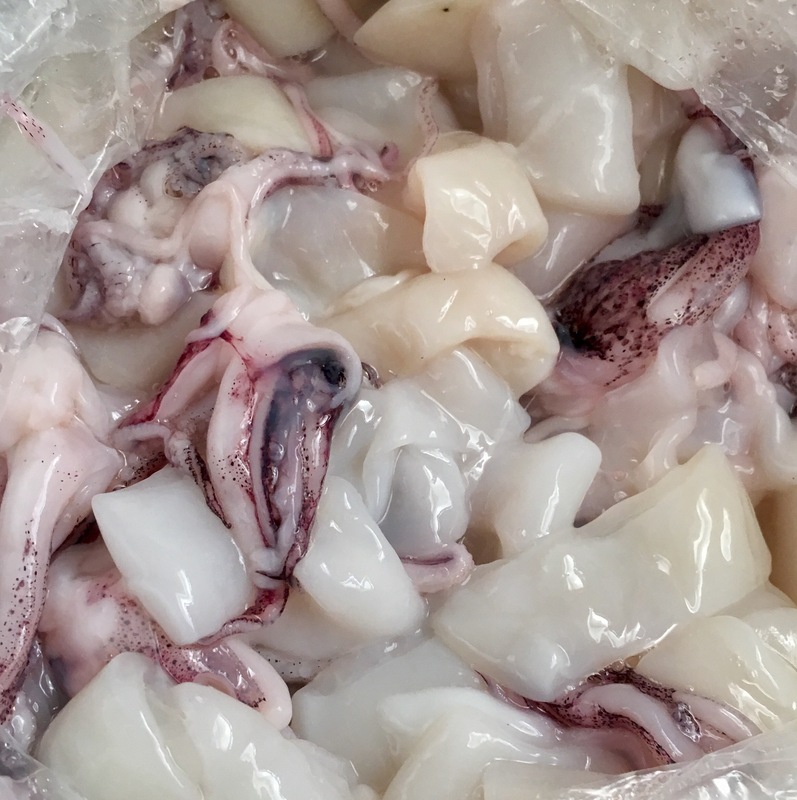 The squid was cut up perfectly for small calamari bites. 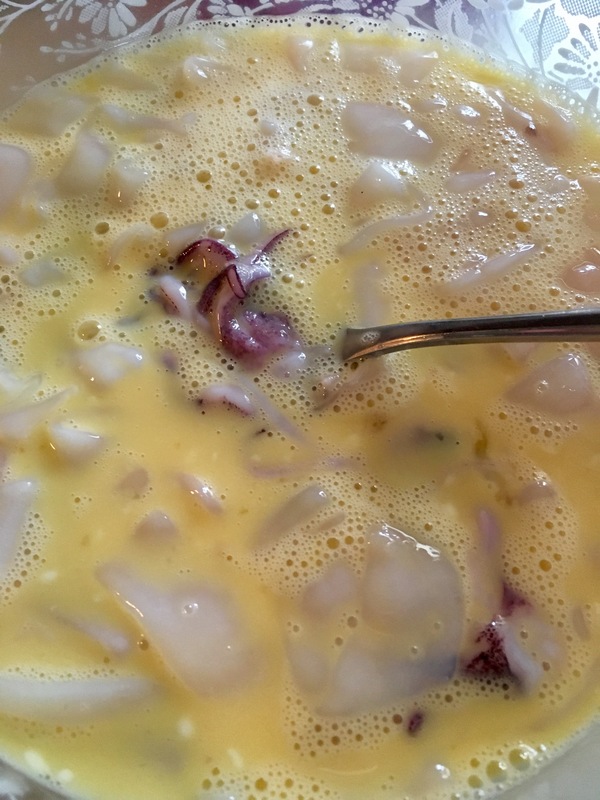 I drenched it in an egg wash (eggs and milk beaten up) so the batter would stick. Then I tossed it around in a Seafood breader and some breadcrumbs and into a shallow pan of hot vegetable oil for frying. Easy, but watch the hot oil. I usually get burned at least once while frying stuff. Just til it’s golden brown is good, turn once. 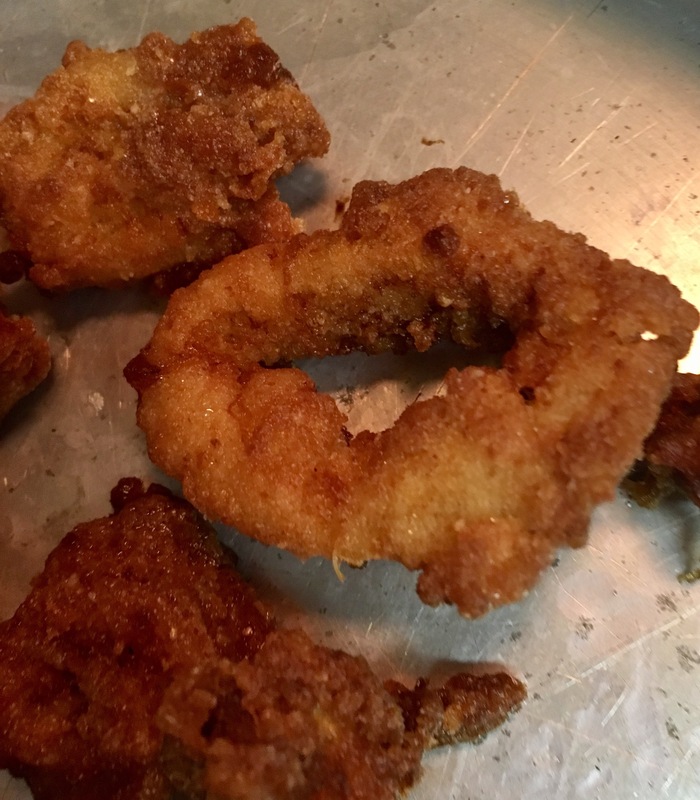 Lovely calamari rings!! 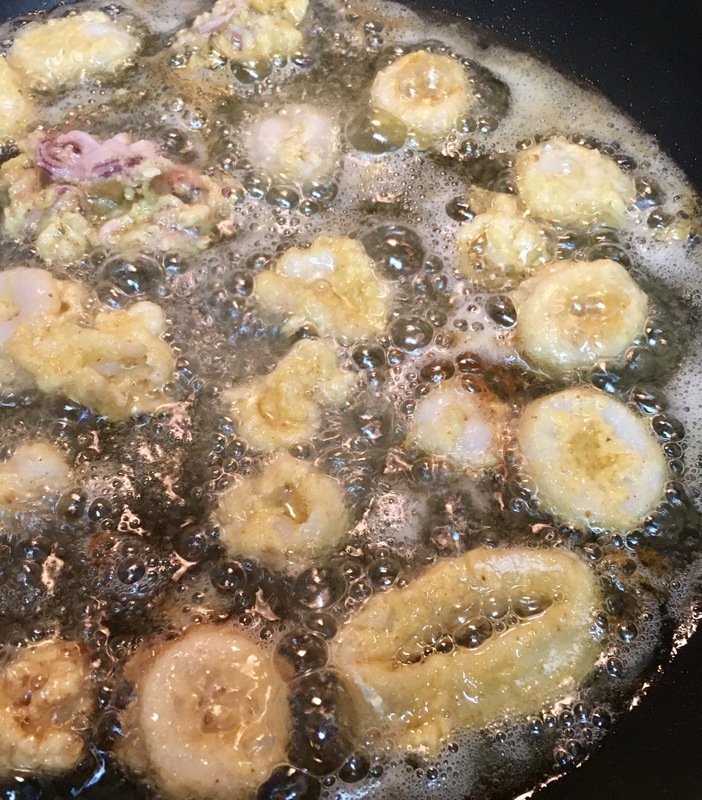 Since I did fried shrimp last time, I decided to scampi it to go along with the calamari. 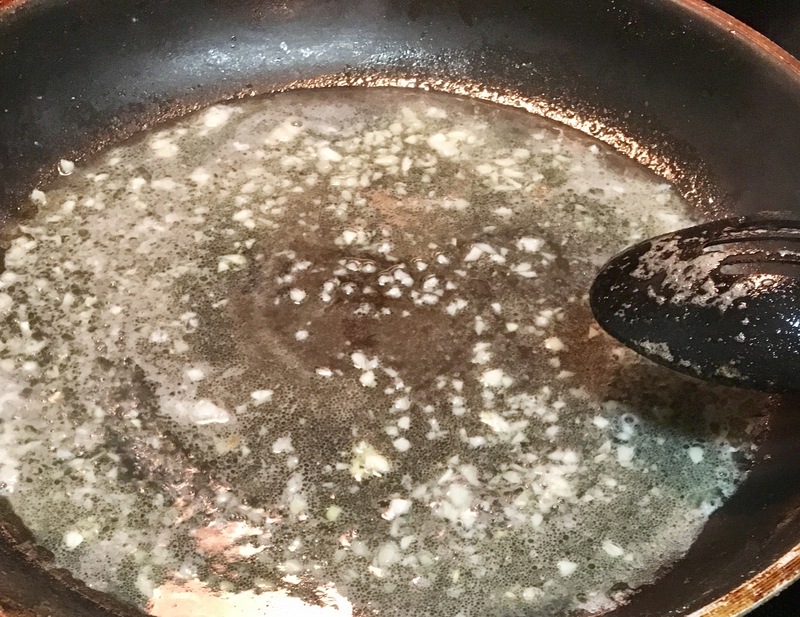 A simple sautée of garlic, butter, lemon, and a little Triple Sec. Add in the raw shrimp, cook on one side til they pink up. Then flip once and cook til that are all pinkish white. They came out sooooo good!! 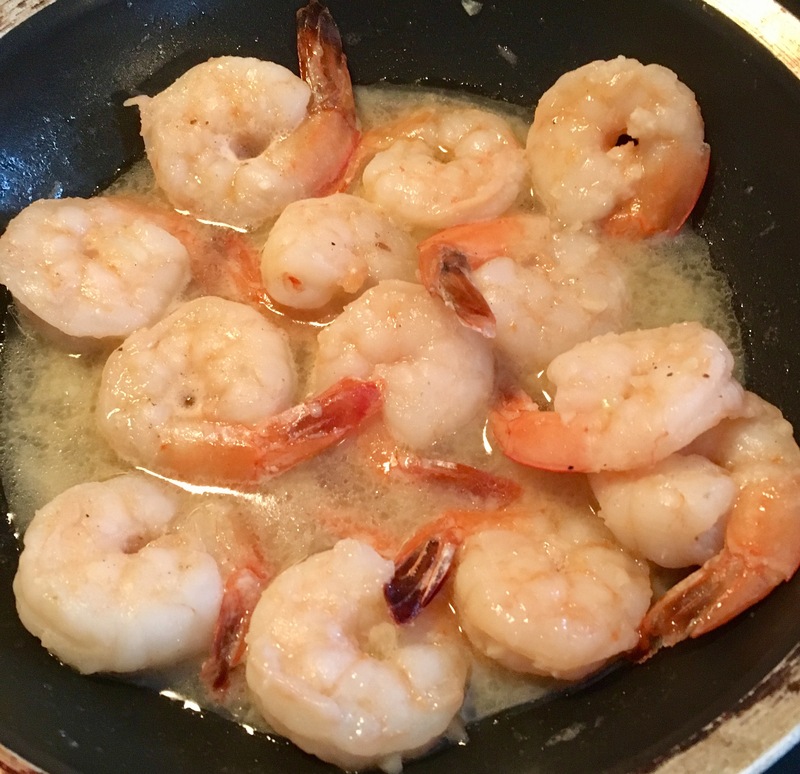 Shrimp scampi, as you can see, is very easy. We had a little leftover after dinner, so I decided to do some shrimp and grits in the morning for breakfast. I chose…wisely. 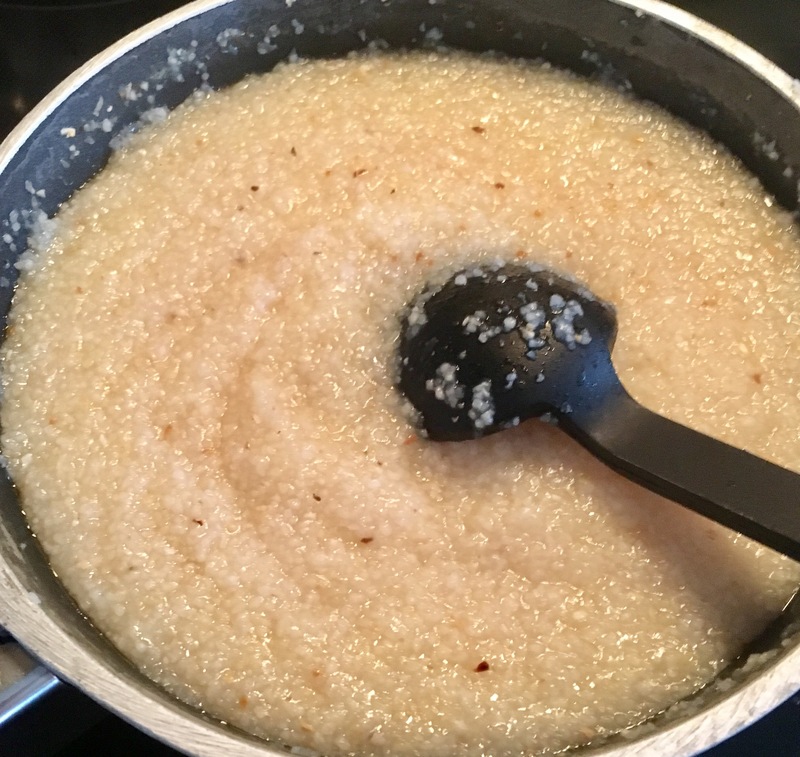 Made some grits up on the stove top. 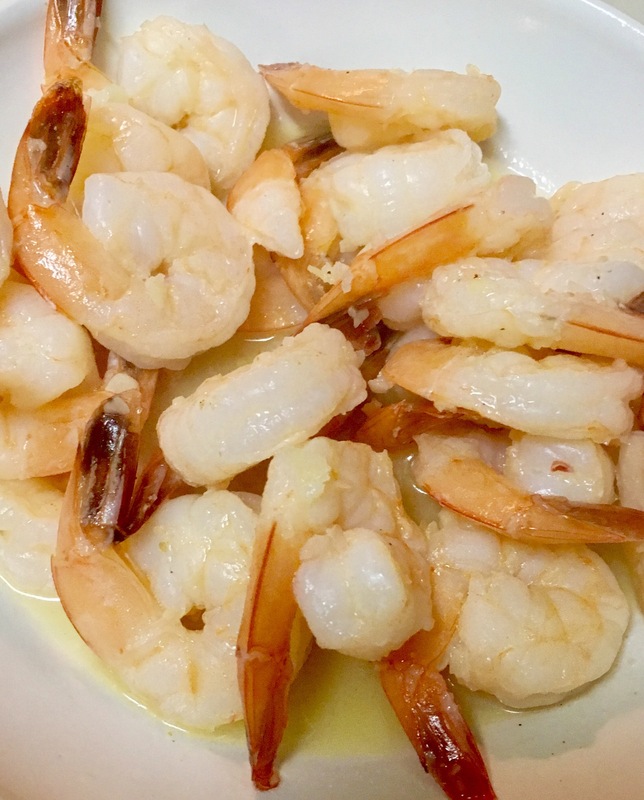 I used the scampi leftover and added in a few more shrimp we still had and, yes, a little more butter. I really like cheddar cheese in my grits, though it’s entirely optional. 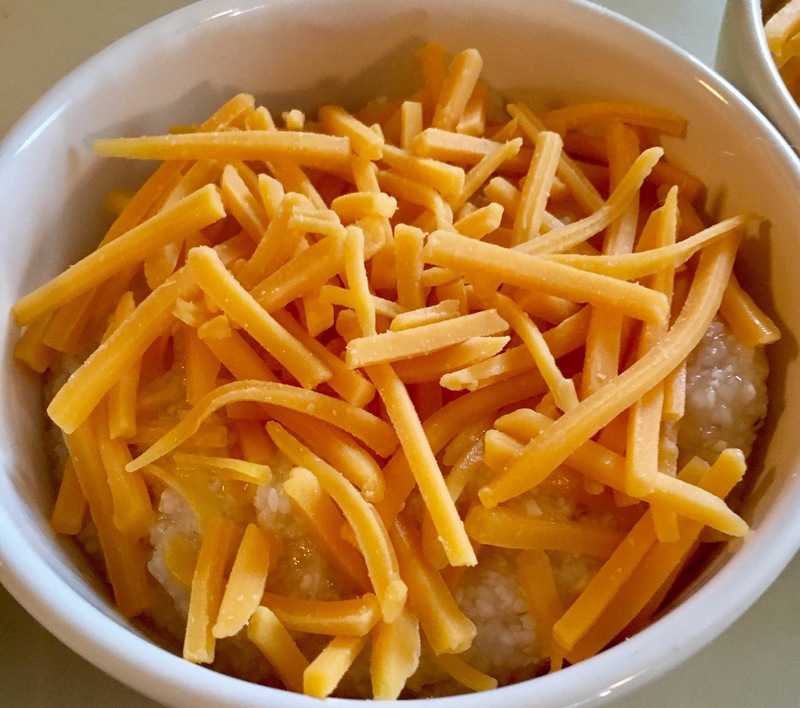 So if you like cheesy grits, I recommend putting the grits into the bowl, then top it with shredded cheese. 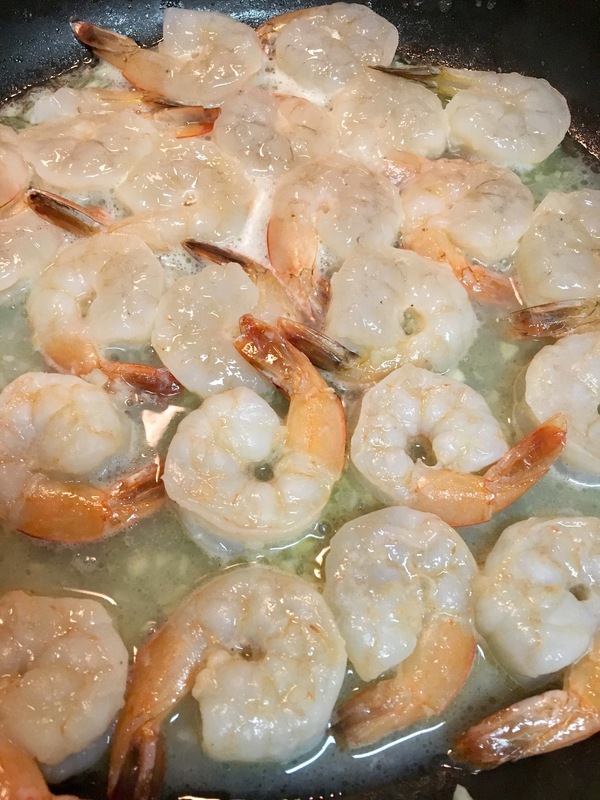 Then add the shrimp right on top and pour on the extra pan liquid of scampi bliss. 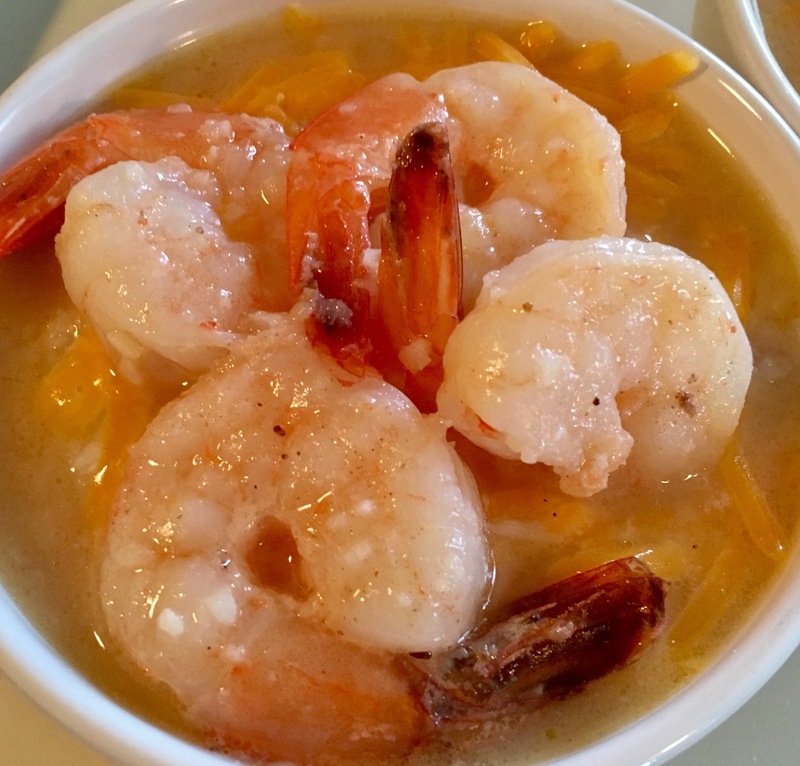 Pretty sure this was the “best I’ve ever had” shrimp and grits. I’m drooling just thinking back to it!! Hoping to get back to the OBX soon!! !